I have wanted to make a crochet rug for the longest time. It is my need to channel Mrs Walker my domestic idol. I remember when I was a little girl, sitting in her sewing room counting buttons and watching her make rag mats. My young mind doesn’t recall all the details except a quiet acceptance that this was a great way to spend your time. Couple of months ago I created a crochet pot holder following Pip’s tutorial and I followed this pattern, or what I could recall of this pattern to make my mat. In trying out Pip’s pattern I created several pot holders that didn’t lay flat, so I decided to use the treble crochet stitch for my rug to help with keeping the mat staying flat. 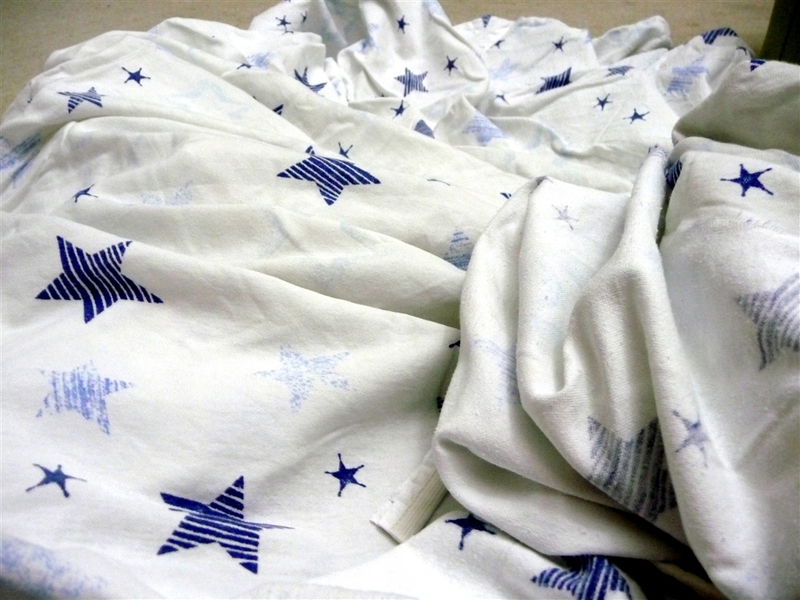 These flannel sheets have been well used and I have patched them twice. 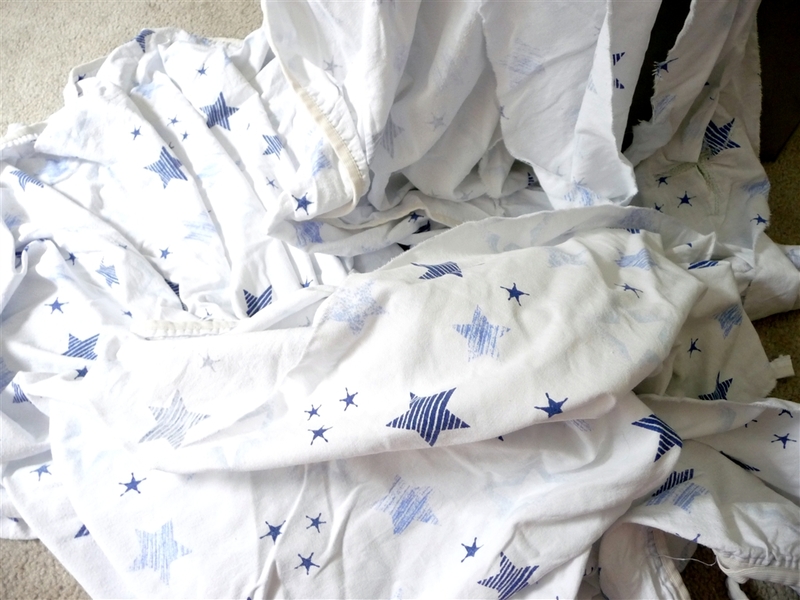 It goes against my nature the throw out old sheets, as I have made pillowcases, bags and covered art boards. 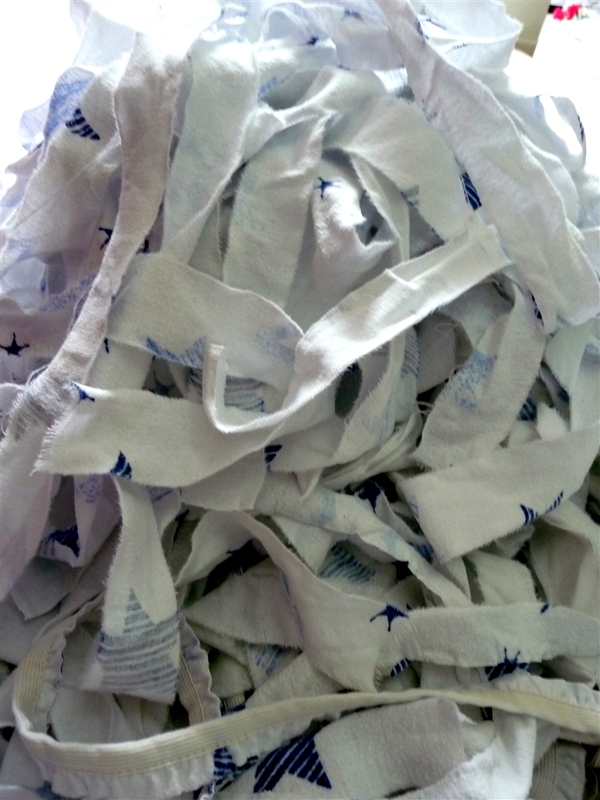 I tore a few strips off the fitted sheets and started connecting the strips. 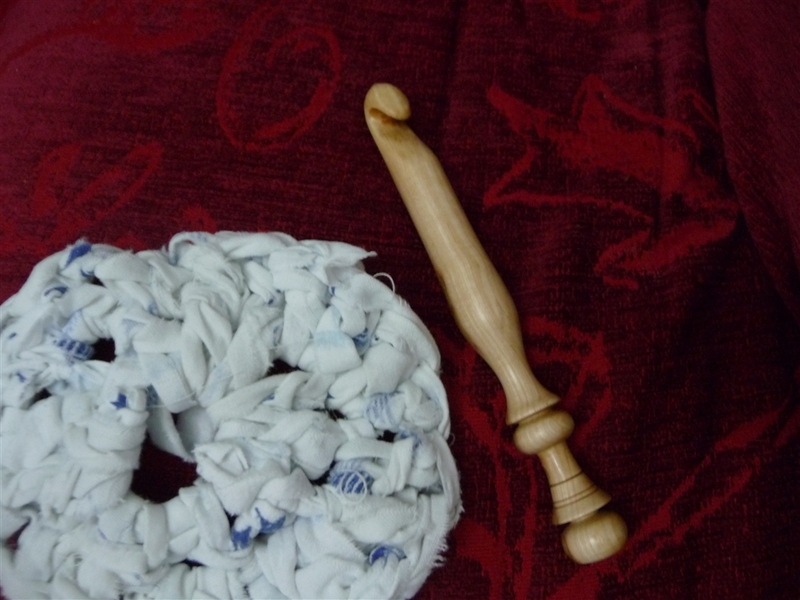 I was impatient to see what stitches my new crochet hook would make and started a small ring. My facination with over sized crochet hooks started with this youtube clip. 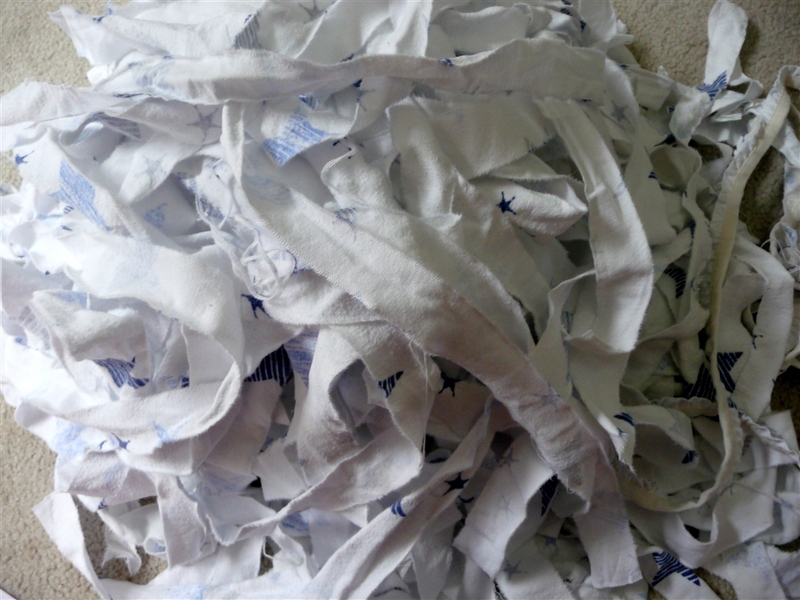 The rest of the king size sheet, I tore into strips and spent a couple of hours joining them. If you want to see an easy way to join strips check out the beginning of this clip. 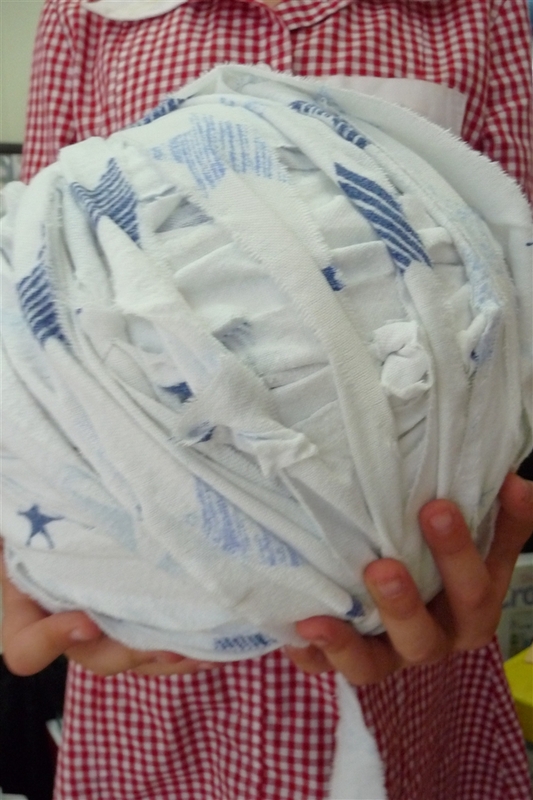 The many strips ended up making a soccor ball size, rag ball. This ball I crochetted into a round rag rug. All up it took about 6 hours to tear the strips, join them together and crochet the rug. Don’t mind my gree toe nail polish, this was from halloween. 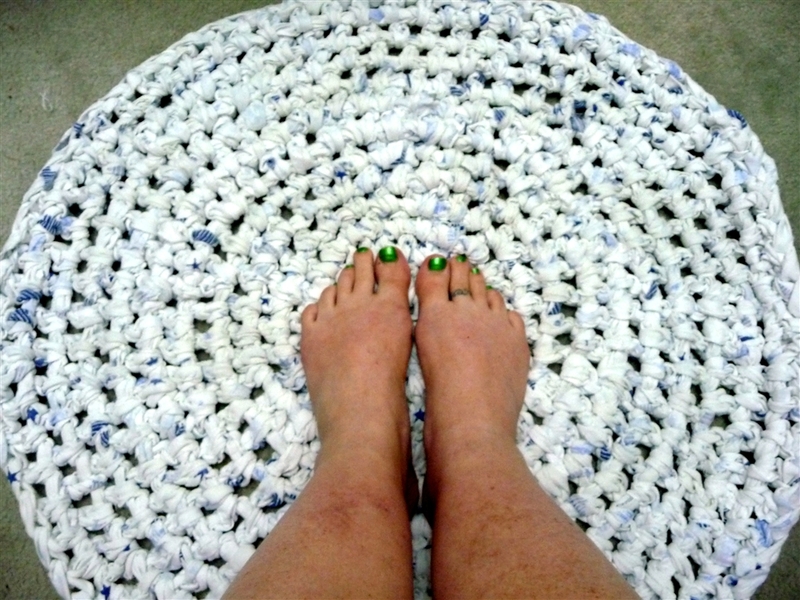 Here and here are tutorials on crochet a round rug, I will confess that I didn’t use these patterns, just googled it to show you that there are plenty of patterns on the www. That is really cool! I'm just beginning my journey into frugaldom and to be honset a little bit scared but when I see how creative you can get with the resources you have it gives me the insiration I need to continue to learn about it all. Can I ask hat kind of size hook you used. In the UK so sizing is a bit iffy but i'd love to make something along the lines of what you have done. Hi! Thanks for stopping by my blog. Your crochet rug looks awesome! So neat and tidy. The next one I do, I'm going to pay more attention to the width and consistency of the strips to see what it will look like. And I love that you don't throw anything away – I'm the same way. 🙂 (Just noticed this post is an oldie…but it's the one you linked me back to so I'm assuming it's okay to still comment here.) Hope to see you around!